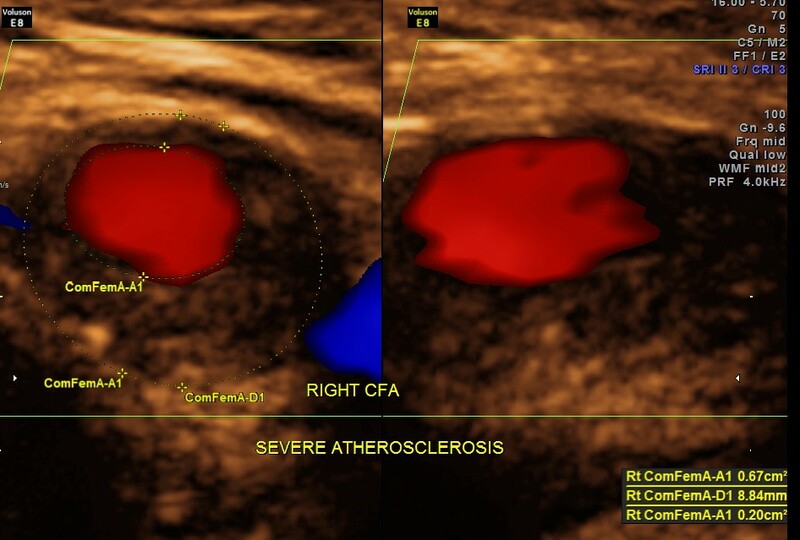 This was a 55-year-old gentleman , a known case of T2DM , Systemic Hypertension, Coronary arterial heart disease with history of C.A.B.G. 5 years ago. He also had a congenital disease of hip joints and used to walk with a slight limp. 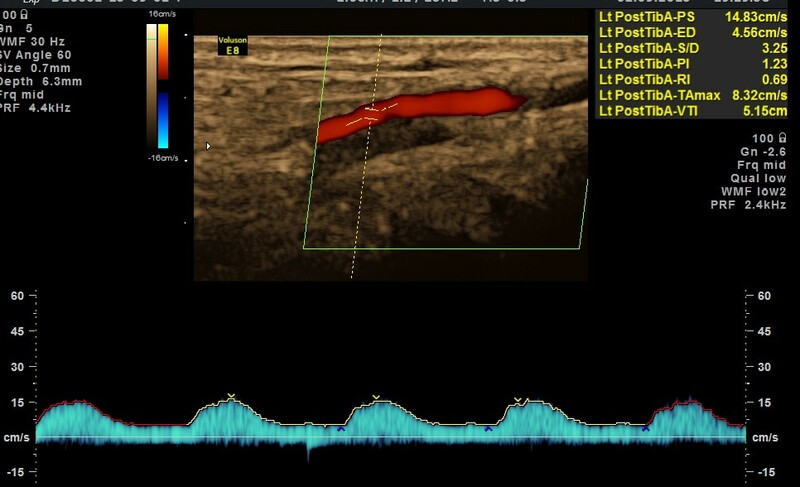 He was getting pain in both thigh regions , more on the right side , over the past 6 months. His pain increased on walking . 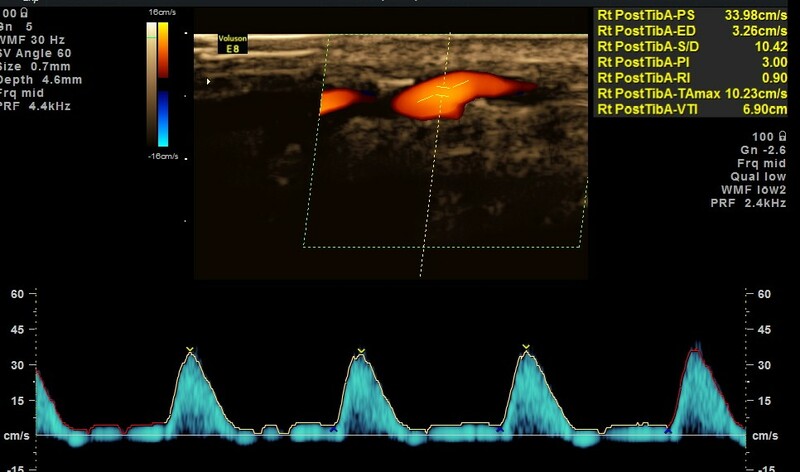 He consulted his orthopaedic surgeon , who told him that after appropriate investigations he might need surgical correction for his long-standing hip disease. Of late his pain was increasing even with mild exertion and was extending to the legs also. As I had known him for a long time he came to me for a second opinion . 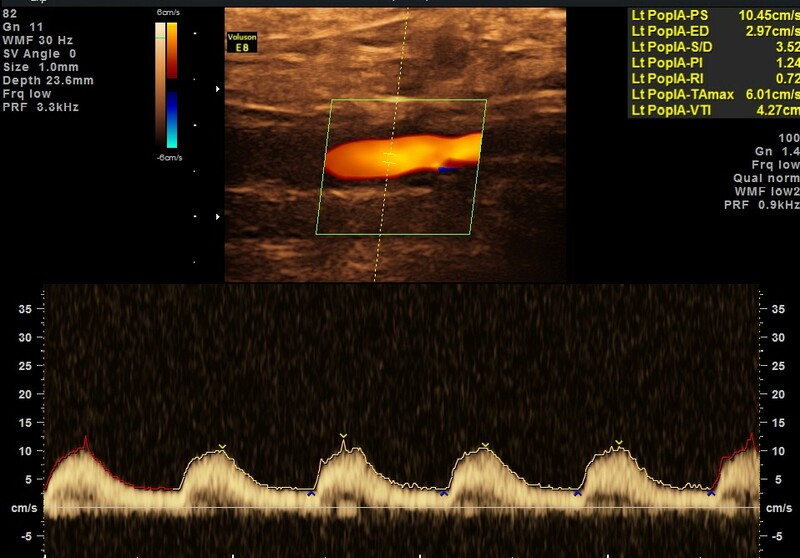 I felt his symptoms were due to a vascular insufficiency and advised him a doppler study of the lower limb arteries. The following pictures were obtained . 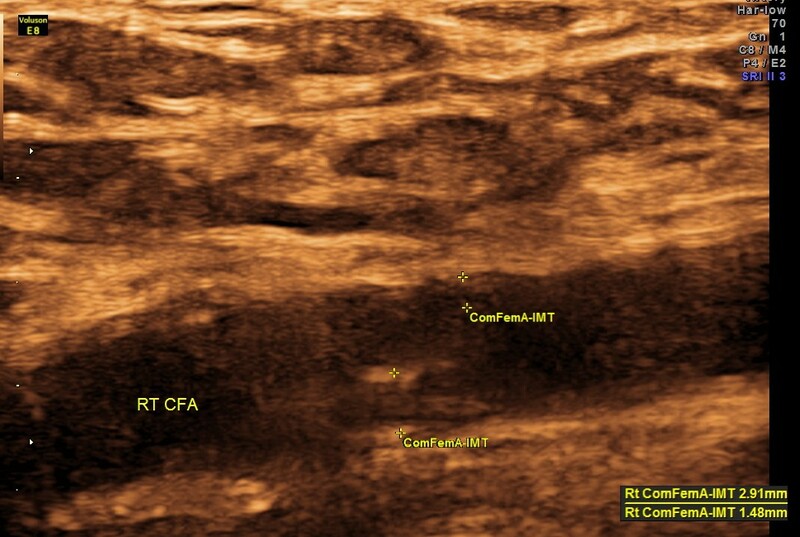 Rt Common Femoral artery showed nearly 70 % obstruction. 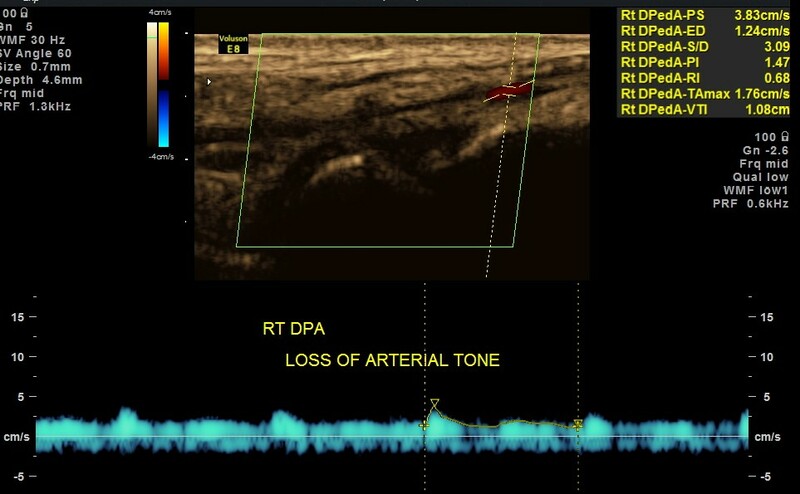 BOTH DORSALIS PEDIS ARTERIES SHOW LOSS OF ARTERIAL TONE AND MONOPHASIC FLOW. 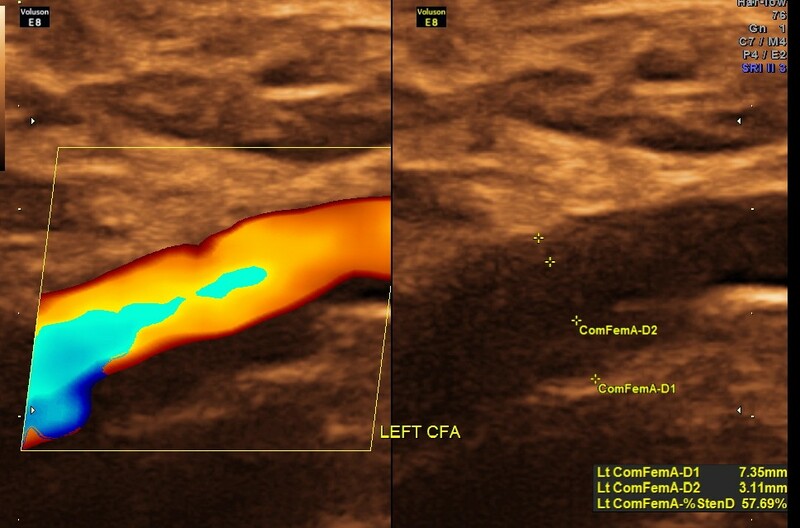 BOTH COMMON ILIAC ARTERIES AND EXTERNAL ILIAC ARTERIES SHOWED TRIPHASIC FLOW. 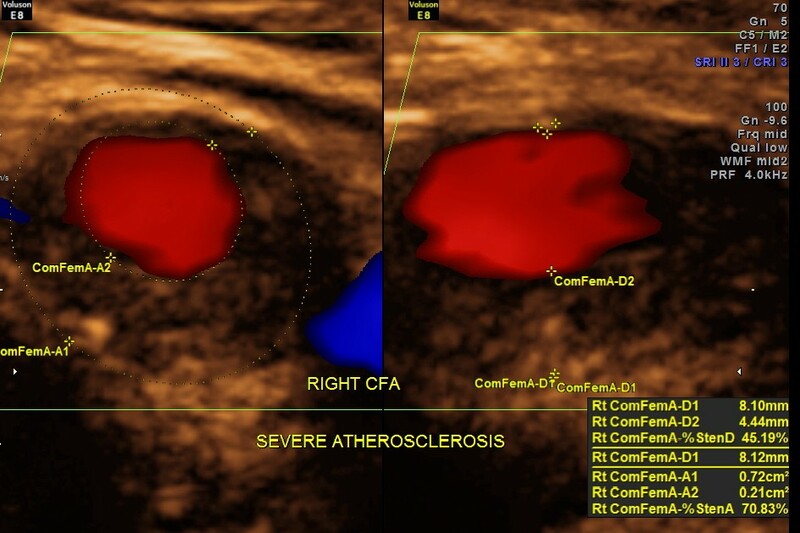 EXTENSIVE ATHEROSCLEROTIC OBSTRUCTIVE DISEASE OF THE LOWER LIMB ARTERIES WAS SEEN WITH THE CHANGES IN THE RIGHT COMMON FEMORAL ARTERY BEING MORE THAN THE LEFT CFA. 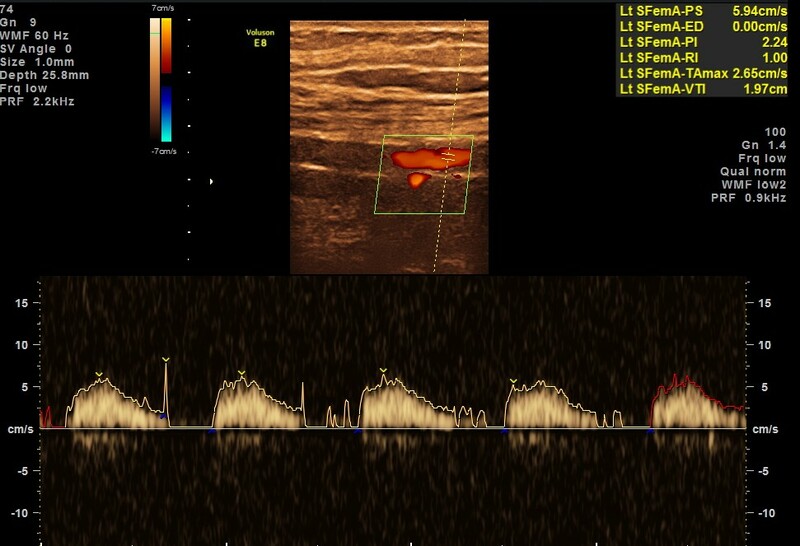 A vascular surgeon’s consultation was sought . Subsequently PTA ( percutaneous transluminal angioplasty ) with stent was done at the common femoral level and superficial femoral level on both sides. The patient is doing well subsequently. and if he was a smoker. A very good case study. Another interesting case Krishnan. Thanks. Your advice saved the patient’s life. I like your images,they are quite illustrative with good content. 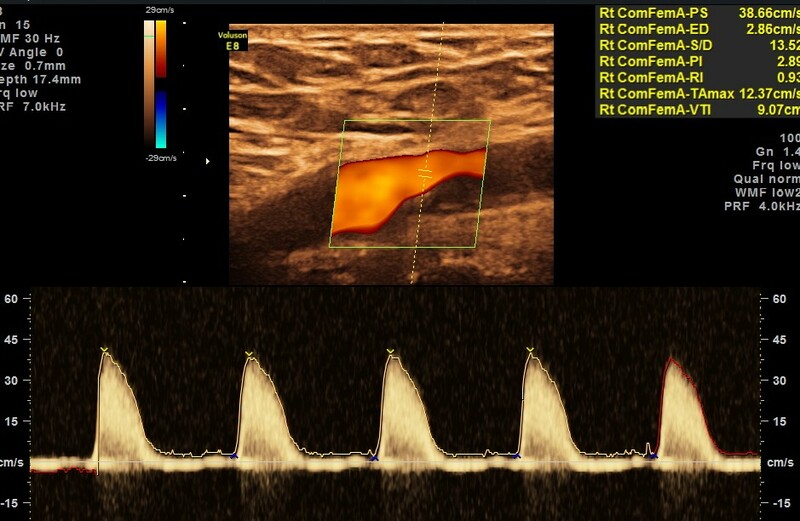 I am currently pursuing a course in vascular technology and this has contributed a lot to my learning. Thanks for this contribution. 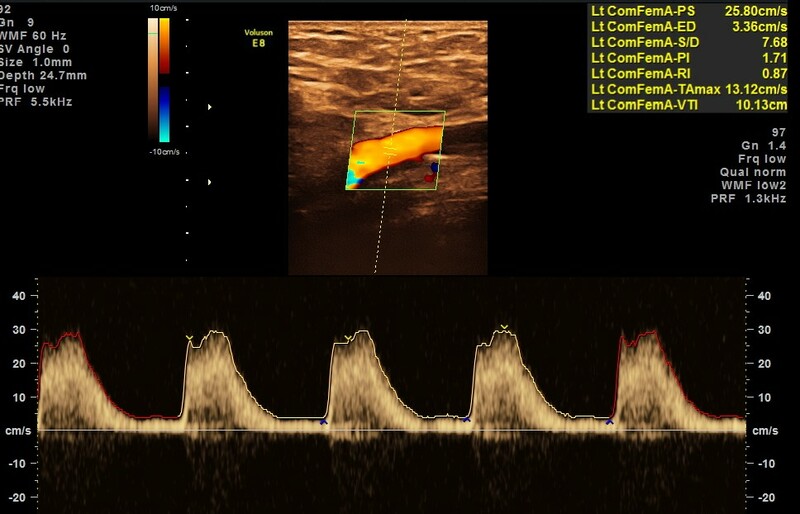 Dear Kriznan, nice case well oriented the diagnostics and the treatment through the use of stems as well with patient with a several arterial problem, but i suggest to do prevention with the patients in order to reduce the cost of interventional cases. 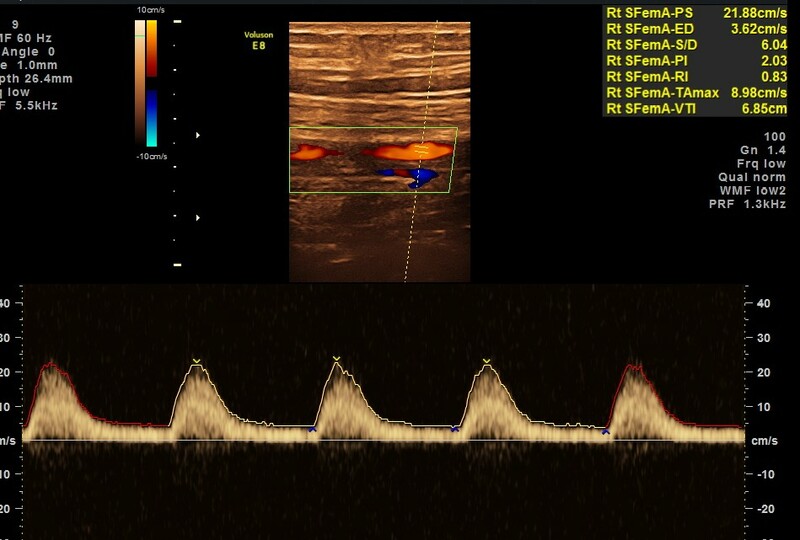 I recommended you tried the ESAOE ultrasound System which offer a nice tools called “QIMT and QAS” prevention suite, the first one you can measure the intima media in microns using Radio frequency technics associated with ultrasound beam with a high precision and the second one Quality Arterial Stiffness, to check it with a very accurately precision the stiffness of the arterial body, excellent tools which help to the prevention suite of the arterial deseases…try it.